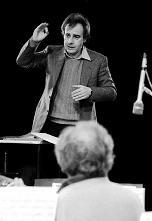 Schifrin will always be remembered for the TV theme to Mission Impossible with its driving 5-beats-in-a-bar later used and adapted for the movies of the same name. Argentinian in origin and coming from a gifted musical family he studied piano from age 6 with Enrique Barenboim, father of the classical pianist and conductor Daniel Barenboim. He studied music theory at the Paris Conservatoire and played jazz in the city's nightclubs. Later he played piano for jazz bands such as Dizzy Gillespie's before moving into films. Although he writes stand-alone music, it is as a film composer that he is now most widely known with a number of Oscar nominations to his name. His music style is something like that of Henry Mancini but less lyrical and with lots more attitude. It springs from the same rich stable of easy Jazz with hints suggesting various influences such as Latin and classical, but from a later more gritty decade. Whether by design or accident many of his films have been action thrillers or war movies able to exploit his empathy for rock and pop music such as with "Cool Hand Luke", "Kelly's Heroes" and the Clint Eastwood "Dirty Harry" movies. Taking these as examples of the Schifrin style we recognise a blending of popular music with jazz and modern classical. They have plenty of drums and bass in places, some electronic effects and a wide range of instruments. The first movie in the series uses some wordless voices to eerie effect to portray the serial killer's mind. Not too far removed from this soundscape, with characteristic bass, the low-key music for Bullitt is stylish and with hidden energy just like the Steve McQueen character. 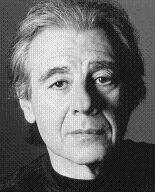 Schifrin has composed music for a number of film series, such as the "Dirty Harry" movies or the "Amityville Horror" series. He also did music for the sequel to The Sting. "The Sting 2" was disappointing as a film but the music again used ragtime material from the music of Scott Joplin and won Schifrin an oscar nomination for "best adaptation score". 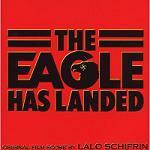 Among Schifrin's more unusual film scoring assignments is "THX1138" for a young George Lucas. Here his characteristic jazz material is reduced to a dumbed-down "musak" played to the drugged inhabitants of distopian future. Schifrin uses a lot of unusual musical juxtapositions including those between religious chants for the conformist vision and more avant-garde elements for the sense of oppression and depersonalisation as the central characters struggle to resist the regime. 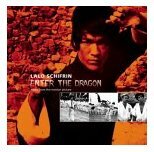 Over the years Lalo Schifrin's name has been linked to a number of Martial arts films. He scored Bruce Lee's iconic "Enter the Dragon", another martial arts movie called "Golden Needles" and an early Jackie Chan film called "The Big Brawl". 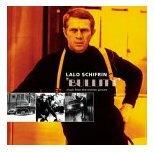 Perhaps because of these associations, Schifrin has composed the soundtrack for the more recent Jackie Chan films "Rush Hour" and its sequel "Rush Hour 2". Between the pop music tracks in the latter films, we are treated to thrilling fare similar in style to a hip, tongue-in-cheek Bond movie with Chinese suggestions in the instrumentation and melodic fragments. 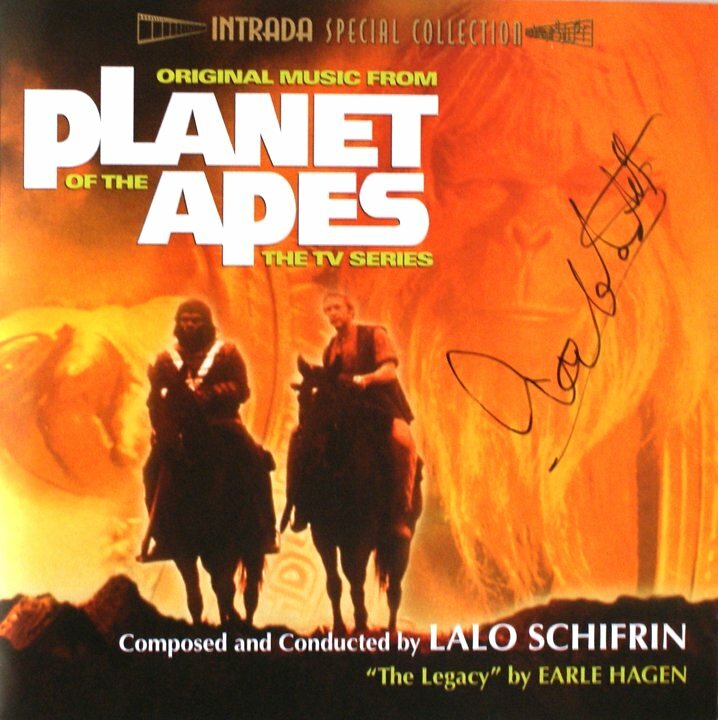 Schifrin now uses Sibelius as a compositional tool. 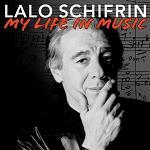 "Lalo Schifrin: My Life in Music" is a great new box set on 4 CDs which has lots of great tracks from the composer's film scores and a selection of jazz tracks. This is available at these links from Amazon.co.uk or Amazon.com. Lalo Schifrin received an Honorary Oscar at the Academy Governors Awards in November 2018. The award was presented by Kathy Bates and Clint Eastwood. The Amityville Horror 1, 2 - the sequel being called "Amityville 2:The Possession"
Return to the River Kwai - yet another sequel! 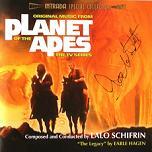 Here are some CD covers signed by Lalo Schifrin. Our thanks to Petr Kocanda for permission to use his collection of autographed CDs. Click any thumbnail below to see the image full size in a separate window.